Instantly transform nail color from high gloss to matte in seconds. Use with any shade from light sheer to dark creme to create a smooth matte finish. Usage: Apply Essie base coat, followed by 2 coats of your favorite Essie nail polish. 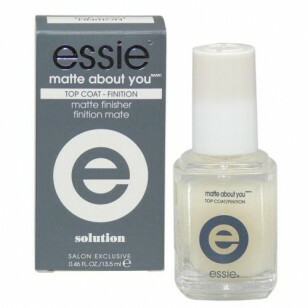 Finish by applying a thin layer of matte finisher in place of a top coat.